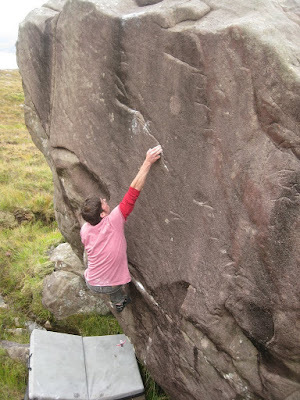 Well, it seems we are well into bouldering season again and despite some hefty rain showers, September had some pleasant days as the leaves turned golden and the air cooled and cleared after the mugginess of August. Time to get off Willie Arrol's sports walls and get the boulder mat out again. Richie Betts took advantage of some fine weather to revisit the Coire nan Arr boulders in Applecross, some of which look like the most perfect rock imaginable. A visit to try The Universal (below) is high on my list, but time and weather has so far conspired against a visit to the north. Hopefully we can get the area mapped and topo'd for the new Torridon and Applecross guidebook for next year. 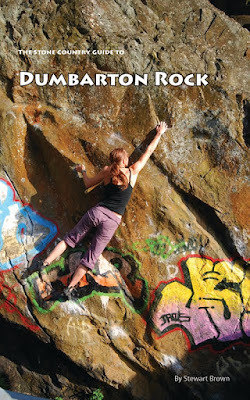 Speaking of guidebooks, I've just received the proof of the Dumbarton Rock guidebook by Stewart Brown. 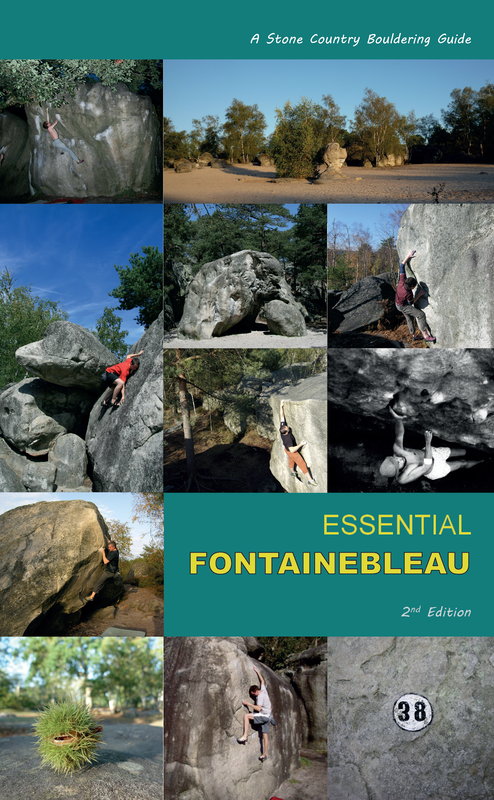 It looks terrific and I should have stock by mid October in time for those returning from Fontainebleau to test their mettle... it's an 80 page guide and so far the most complete guide yet to the bouldering (it also includes the sport routes and Dumbuck). Below is a wee vid of a good 7a eliminate of the Zig Zag sit . I dug some stones away and this allowed a better position for the tricky first move of the sit start. I think a good digging session might link the base of this to the black cave...anyone brave enough to dig down further under the Eagle boulder? 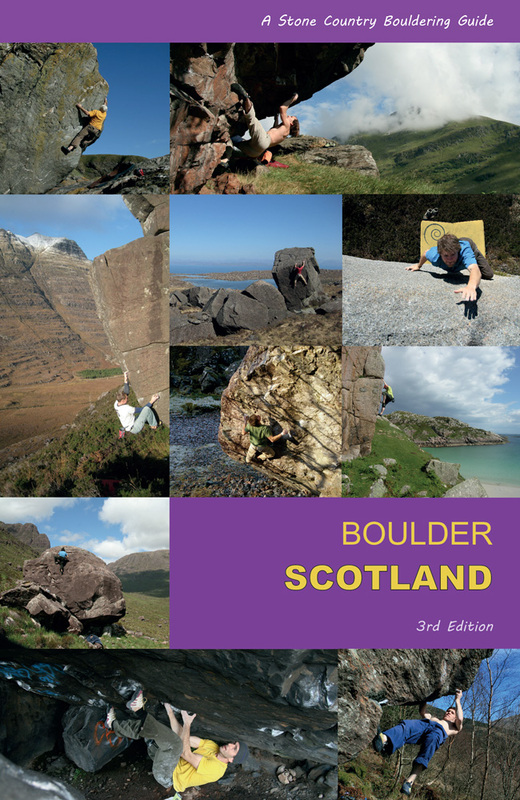 And check out Betaguides new bouldering venues in the UK: this site is a terrific resource for the itinerant boulderer and has plenty of PDF topo's embedded in its pages. good to see your back in action John. Bouldering - Pah! I remember what Willie Arrol once said to me, he said, "If I ever suggest we just go bouldering then take me out and shoot me." Sadly Willie is no longer with us.